Fill out the form here. Ensure you have your friend’s permission to use their information. Your friend will be contacted about the kind of childcare they’re looking for. Your friend’s child needs to be booked into nursery for a minimum of 2 full days or 4 half day sessions for at least 3 months prior to the voucher being issued and fees paid. Give your referring friend your contact details and permission to use them. Wait for your referral email or call. Be sure to reference their referral when you sign up. 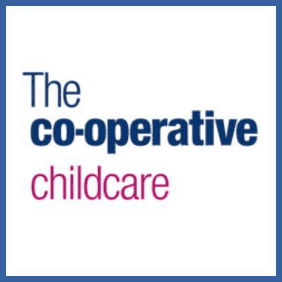 Refer a parent to a Co-op Nursery and if they sign up for 3 months you’ll both bag £50 vouchers towards the cost of your Co-op childcare. This one’s limited purely by how many friends with kids you might have!